Dietary SuperFood: Digestyn-7 is a digestive superfood which can also support heart health, skin health and sugar metabolism*. Dairy free, gelatin free and gluten free gummy bears! Kosher and Halal certified. Includes 90 Vegetarian gummies for a 45 day supply. 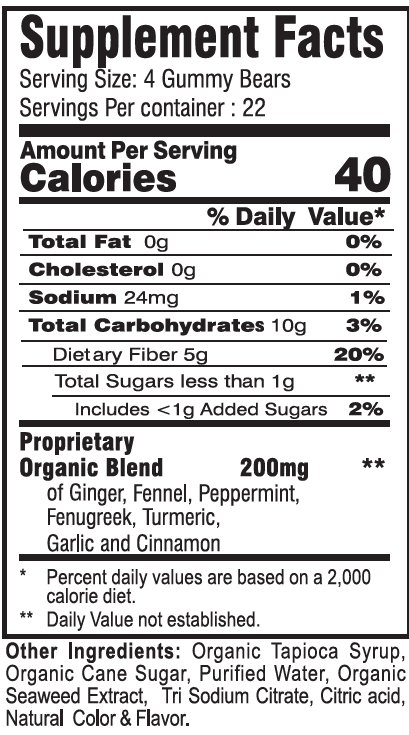 5gm of Dietary Fiber per serving. 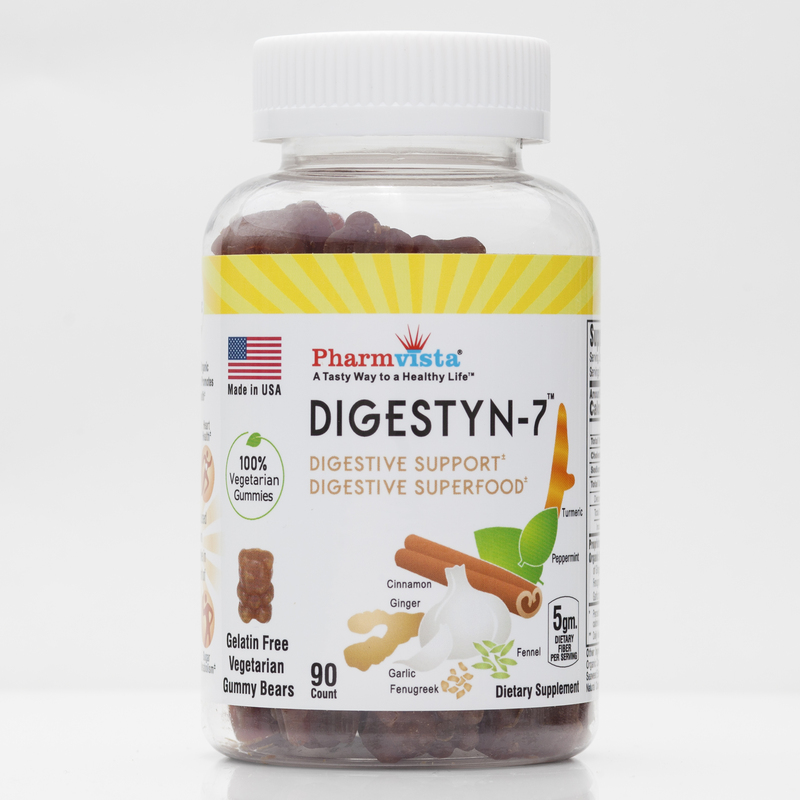 Digestyn-7 promotes Digestive health for whole family. Our Digestyn-7 Gummy Bear contains a unique Organic mix of Ginger, Garlic, Cinnamon, Fenugreek, Mint, Turmeric & Fennel active ingredients.